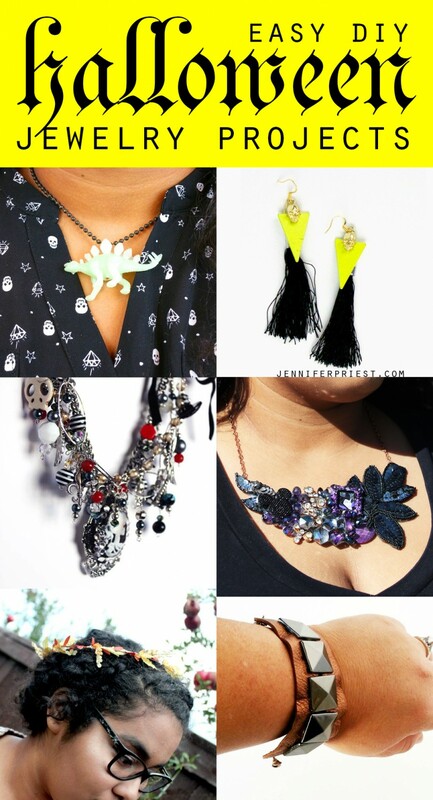 6 Stunning Halloween Jewelry To Make! You can express your scary side without wearing a costume at all. 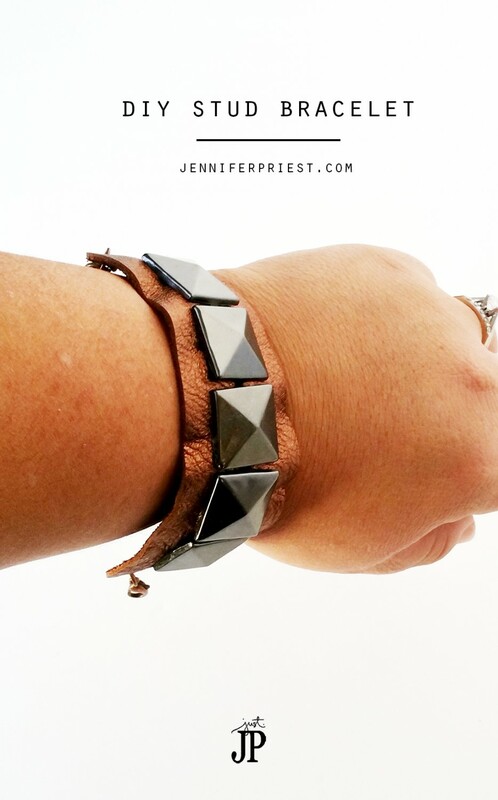 Today I am sharing four DIY accessories you can make this Halloween and to wear all year long. These edgy and fun DIY Halloween jewelry tutorials are easy to make and each one has a video to go along with it. I made two versions of this super fun necklace, built with plastic dinosaurs from the Target $1 Spot. Recreate either of these necklaces with any small plastic toys. You can even spray paint the toys to make them into colored jewelry, like this Lil Sebastian Necklace I made a few years ago with spray paint and nail polish. These earrings are so 80s to me and I just love them. The skull with metal triangle already come assembled like that from Cousin Corp – you can find these at stores like Hobby Lobby or online at PrimaBead.com. I also used tassels on the earrings because there are tassels on everything this year. These ready made tassels were perfect for these earrings and so easy to put together. For all the bits and baubles you have leftover, this chunky layered necklace is just the thing to make. Combine chain, beads, and more to make a fun statement piece. For Halloween, add in skull beads, tassels, Halloween charms, and bones for a spookier look. This Disney Villian Necklace is great for a trip to the Disney Parks or to wear while trick-or-treating. Create a beautiful fall flower crown using ribbon, beads, and wire. Which of these jewelry pieces would you wear this Halloween? Tell me in the comments 🙂 I would wear these but my kids stole ALL of them so, I guess I gotta make some more!